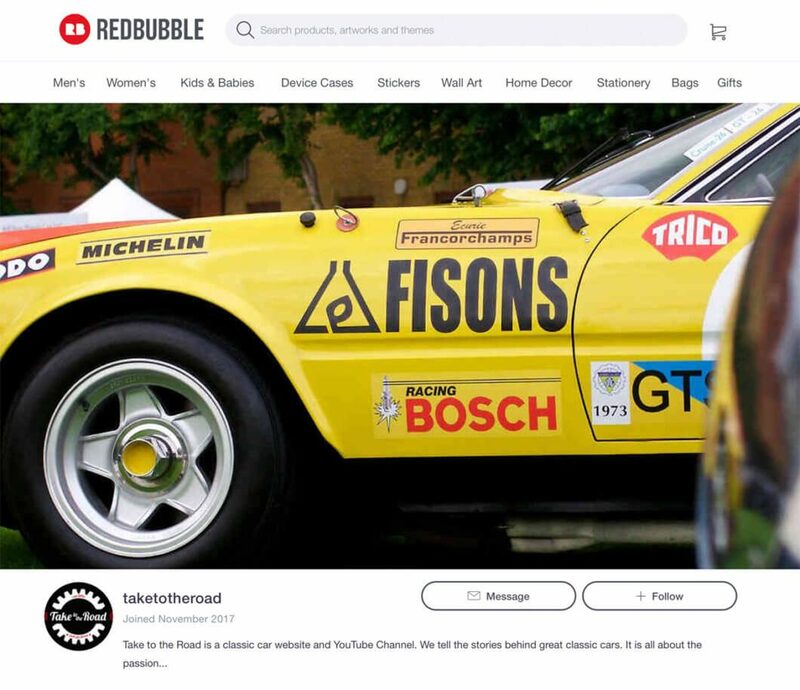 Over the past few months I have been considering opening a Take to the Road Redbubble Shop, filled with cool classic car themed products. So with Christmas fast approaching I am delighted to confirm that my little online shop is now open for business! Now available on the Take to the Road Redbubble Store our logo mugs and our 2018 calendar! To start things off I am offering Take to the Road fans the chance to own a very splendid Take to the Road logo mug and travel mug. I’ve actually ordered both for myself and can confirm they look great! The logo mug has been a fine vessel for holding many cups of tea. 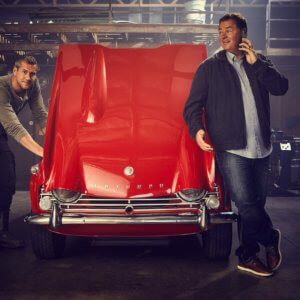 And the travel mug, which is made of metal, is strong and sturdy enough for when you need to keep your tea safe and hot while working in the garage on that classic car project. A fine pair of mugs! The Take to the Road 2018 Classic Car Calendar hot off the press! It is full of many classic car delights such as this De Tomaso Pantera. And icons such as one of the Le Mans Jaguar D-Types! The other product that I have put together is the Take to the Road 2018 Classic Car Calendar. This features some of my favorite classic car photos I’ve taken over the years and it is really nice to see them in print. Again I’ve ordered my own copy and the quality is impressive. The photos look great and the colours are nice and vibrant. Plus the calendar is a decent size and will look great in any classic car man cave, garage, study or office. Unfortunately Redbubble have removed the calendar from their range of products so ours is no longer available.